Years ago, while attending a school for the recording arts, I learned that while mixing and editing recorded music, I should cut out the breaths a musician would take before singing each line. It was believed that the sound of a vocalist drawing breath would make the song sound unpolished, flawed, and imperfect. After years of constant touring, I have crossed paths with so many great musicians, songwriters and singers who struggle daily to share their voices with an audience that is yet to hear them. The spirit of these artists is full of genuine passion and energy, and to be in a room with any one of them is to experience music in a very pure way. The breathing sounds and all other ‘imperfections’ are part of that experience. We formed this company because our own lives are inspired so deeply by music, and because we want to create a platform for these hard-working artists to get their music out into the world (and maybe to help fill their gas tanks along the way). And so we find ourselves, with equipment in hand, wherever the music takes us; in between the weathered walls of a barn, a pump-house in the middle of the woods, the basement of a haunted train station, a friends living room, or sometimes just a kitchen table. It is in these unique spaces where each recording session sets a different stage for the artist, one where the audience they play for is themselves. Our philosophy is to bring you this music in its most raw, honest and unadulterated form…music that is Live and Breathing. 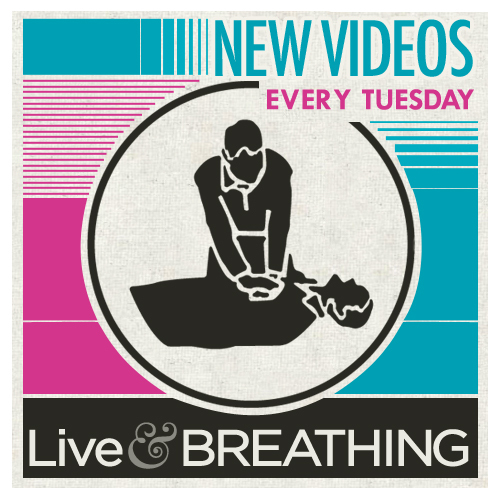 Live and Breathing was founded in 2010 by Justin Glanville with the help of co-founder Will Godfrey.